The following Vancouver personal trainers are found from our directory. 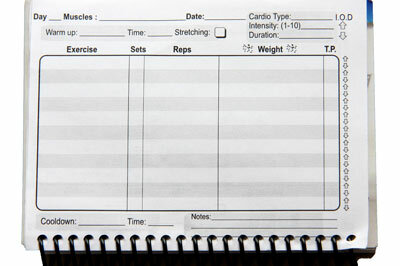 These personal trainers can be hired / asked questions about their rates, services etc through our form below. Personal training is an excellent way to motivate, excel and reach your fitness goals towards a new you. Andy S. is a seasoned Master-Level personal trainer and National-Level athlete. He is also a dedicated practitioner in the latest CrossFit elite conditioning. Under his direction, O2 West Personal Fitness is distinguished by a team of passionate and results-driven athletic trainers. Designed from the ground up with the best specialized equipment, O2 West is Vancouver’s ONLY private sport-specific training facility. We are a mobile Vancouver personal training company also offering boot camp in Vancouver. We can come to you and train you at your home, or you can train at one of the locations we train out of in Vancouver. At Fast Track Fitness your health, wellness and fitness is our top priority. We design programs to achieve maximum results in a shorter period because we incorporate exercise science into every workout. By utilizing a wide range of training styles and intensities, significant results are gained because the body is shocked into change. We cater to a wide range of fitness levels. Our style of training can be adapted for anyone wanting to improve their fitness. All you need to bring with you is the desire to train with intensity an open mind to try new experiences and a willingness to push yourself to achieve your full potential. Variety is the spice of life and what you will experience when training with Fast Track Fitness. Our programs are designed to work your balance, strength, agility, power, and flexibility. 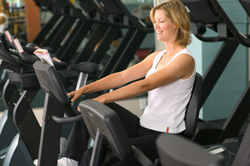 We incorporate an assortment of fitness equipment to provide you with the most complete workout. There is a level for everyone and exercises to challenge even the most seasoned enthusiast to the novice. I am a certified personal trainer in Vancouver who focuses on functional training, posture improvement, and muscle balance. I provide one on one personal training, couples personal training as well as group personal training in the Vancouver downtown area. My client base comprises a wide range of age groups and fitness levels. My promise to you is that you are going to see results while having fun along the way. As an experienced personal trainer in Vancouver, I have a unique training technique that enables you to experience a difference after the very first session with me, and inspires you to move forward. Your trainer comes to you—on your own time—with an individualized program. Fitness on the Go is dedicated to helping people just like you reach their fitness goals. We make fitness easy and affordable by sending a certified personal trainer to your home to guide you through an exciting, effective workout on your own schedule. Our trainers bring all the necessary equipment with them, teach you how to exercise safely and efficiently, and help you to stay motivated. No wonder, so many people are enjoying continued success with Fitness on the Go. James completed his Human Kinetics degree at UBC and attained PFLC-CSEP status in 2002, after which he went on to pursue Graduate studies in Exercise Physiology. He has been providing rehab services for over 5 years dealing primarily with ICBC, WCB, Manulife One-to-One Exercise Therapy, Strength & Conditioning for Athletes, and Corporate Health & Wellness programs. James has currently finished his Masters studies into Exercise Physiology where he was researching the effects of respiratory muscle fatigue and gender differences in trained and untrained individuals. James has instructed 2nd year Anatomy labs at UBC for two years where he has fostered the education of many future Kinesiologists. For the last 5 seasons James has also been a senior fitness evaluator for the Vancouver Canucks, providing preseason testing through Buchanan Exercise Science Labs and helping determine the fitness status of every Canuck player and prospect. James currently sits on the Technical Advisory Board of Pulse Tracer Technologies Ltd, was the Strength and Conditioning coach for Team Hockey for two years, as well as the Head Trainer for UBC Football (2003, 2004 seasons). James’ accomplishments include his involvement in "Bell Making the Cut" where he acted as a fitness evaluator during episode six of the reality show, as well as the launch of his own health and wellness studio specializing in Active Rehab, Lifestyle management and Personal Training. Prepare for POPAT PARE COPAT SOPAT Tests with Jane Gardiner from Athleta Training, Certified Law Enforcement Administrator by the Justice Institute of BC. Build your skills and improve your times through practice, training and testing through a designed course based on the actual test model. • I realize your strong desire to conquer the application test process. • Successful completion is often a matter of pacing and familiarity with the test. • It is not enough just to pass, you need to get in proper physical condition to pass and maintain your condition during the rigors of qualification. • Timed practice POPAT PARE COPAT SOPAT tests are conducted with further evaluation, including technique and strategy needed to succeed. • 100% success rate for recruits that apply themselves fully to training. Price:$250.00 (inclusive of GST). Payment by Visa and Mastercard accepted. Price includes a private personal nutrition consultation with Jane Gardiner to assess your specialized nutritional requirements for this training based on macro nutrient ratios (protein/carbohydrates/fats); 4 indoor group fitness classes; 4 practice tests (POPAT PARE COPAT SOPAT); and 4 outdoor practice run classes at Stanley Park. Your results are issued and discussed immediately following each session These results are not used as part of your law enforcement application if applicable and are meant to serve as a guide only. I am very passionate about health and fitness and I think nutrition and lifestyle are also very important factors when working out. I have a very broad background including rehab, pilates, yoga and more and I love to include different elements into my client's workout. I also teach group fitness classes. Providing exercise rehabilitation for those recovering from acute injuries or those managing chronic conditions. We also specialize in cancer recovery exercise prescription. We have specialists in sports specific conditioning, personal training and core conditioning. I am a Certified Personal Trainer (ACE) and a Certified Lifestyle & Weight Management Coach and the founder of fitBodyCoach Lifestyle-Fitness-Nutrition, living and operating in the Greater Vancouver area. If you are ready to take your health & fitness to the next level, then let's get started now! There is no time like the present! I look forward to working with you to achieve your fitness and weight loss goals. fitBodyCoach is a provenly effective Online Personal Fitness Solution that provides men and women an Online Fitness Program and Online Meal Plan Solution. Get in shape, build muscle, burn fat, and lose weight with your very own Online Personal Trainer. fitBodyCoach gives you the Personal Trainer Support you need from our Certified Personal Fitness Trainers as you track your personal fitness training progress. For details on each service please email. I’m Monica Tangry, an ACE-Certified Lifestyle & Weight Management Coach, ACE-Certified Personal Trainer, and founder of fitBodyCoach Wellness & Weightloss for Women. fitBodyCoach focuses on weight loss from the inside out - the only kind of weight loss that really works. The fitBodyCoach 3-Dimensional Program incorporates behavior-lifestyle modification along with nutrition, and physical activity. This approach will not only help you achieve a healthy weight loss – but it will teach you how to keep it off for good! My mission is to equip you with the tools and skills you’ll need to successfully change your lifestyle in order to lose weight and maintain it for a lifetime. As your fitBodyCoach, my success lies in your ultimate success. If you are serious about your health and wellness, than you must take the first step. For program information and details please contact me. It is My Responsibility as your Personal Trainer to Provide you with the Support, Knowledge, Skills and Resources to enhance your life. Your success is my #1 priority and I'm EXTREMELY motivated to get you to Your Fitness GOAL. I offer customized fitness programs that cater to your needs, goals and schedule. I guarantee that my programs are convenient, and more effective than anything you have tried before. I set the standard for Personal Trainers in Vancouver for I understand that hiring a Personal Trainer can be a difficult decision, that's why I'm encouraging you to try me out first with no obligation. After one session you'll see why so many people are switching to T Squared Personalized Training! Lifestyle Packages: *No equipment is needed. Your Vancouver personal trainer will provide everything you need to pursue health and better well-being.